Butch Baker, a strong Cincinnati player, sitting in the front row, far left. Frank and Geraldine Titcomb just to Butch's left. (Thanks to Grady Mathews for identifying Frank and Geraldine.) That is Tommy Carrelli just to Geraldine's left. 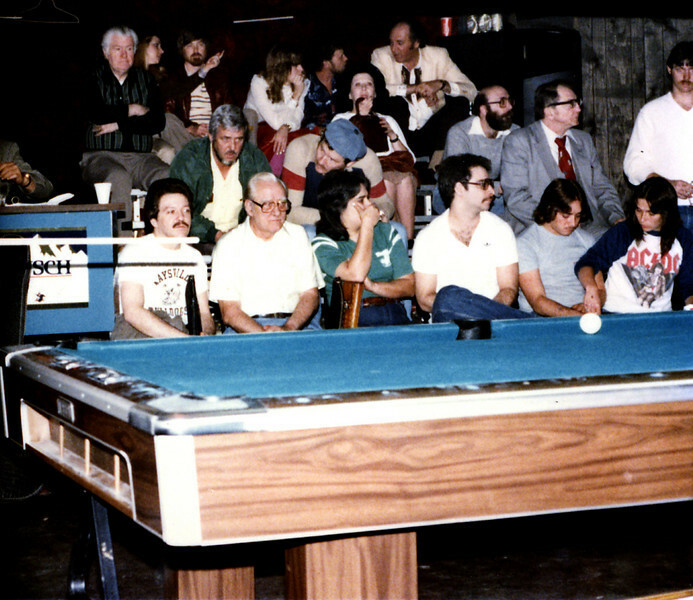 Pinocchio from AZ Billiards and I think that may be Truman Hogue in the blue shirt, top center of image.